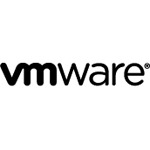 VMware NSX is the network virtualization platform for the software-defined data center, delivering the operational model of a virtual machine for entire networks. With NSX, network functions, including switching, routing, and firewalling, are embedded in the hypervisor and distributed across the environment. This effectively creates a "network hypervisor", that acts as a platform for virtual networks and services. Similar to the operational model of virtual machines, virtual networks are programmatically provisioned and managed independently of underlying hardware. NSX reproduces the entire network model in software, enabling any network topology - from simple to complex multi-tier networks - to be created and provisioned very fast. Users can create multiple virtual networks with diverse requirements, leveraging a combination of the services offered via NSX to build inherently more secure environments.